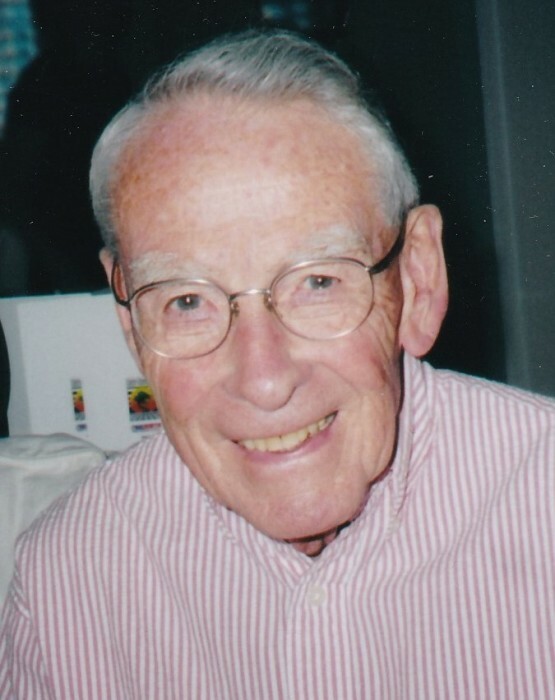 Philip Arnold Wild, age 91, passed away peacefully at Walpole Healthcare in Walpole, Massachusetts on Sunday, March 24, 2019. Born in East Brooklyn, Connecticut on January 29, 1928, Philip was the son of the late Arthur Wild and Dorothy (Adams) Wild. He was raised in Danielson, Connecticut along with his late brother Earl, and graduated from Killingly High School in 1946. In 1950, Philip received his bachelor’s degree in civil engineering from Worcester Polytechnic Institute. Philip was accepted to Princeton University in 1950. He graduated with a master’s degree in civil engineering in 1952. Later that year, Philip was commissioned in the United States Navy, proudly serving his country as a Naval Flight Officer aboard an aircraft carrier during the Korean War. Leaving active duty in 1955, he transitioned to the United States Naval Reserve, serving for an additional 22 years at Naval Air Stations throughout New England and rising to the rank of Captain before retiring in 1977. In 1953, Philip married his beloved wife, the late Carla C. (Cooke) Wild in Danielson, Connecticut. Moving to Walpole in 1956, they raised their four children. Joining Stone & Webster Engineering Corp, he remained with the firm for 40 plus years, retiring as Executive Vice President. Philip was a registered professional engineer in several states and a highly regarded Fellow of the American Society of Civil Engineers. As a resident of Walpole for 61 years, Philip was an extremely active and valued member of his community. For over 60 years, Philip was heavily involved with the United Church of Walpole, where he served on the Stewardship and Prudential Committees, and as a deacon and moderator for the church. Philip proudly served on the Town of Walpole’s Permanent Building Committee for more than 40 years. Philip also served as a Director of the Walpole Co-Operative Bank, and on the Curriculum Committee at his alma mater, Worcester Polytechnic Institute. Philip was the beloved husband of the late Carla C. (Cooke) Wild, and the loving father of Karen W. Knobel (Philip Knobel), Kevin H. Wild (Katherine Aldrich), Kimberly A. Wild (John Lago) and the late Keith A. Wild (LeeAnne Wild). He was the cherished grandfather of Max Knobel, Philip Wild, Robert Wild, and Jake Lago, and great-grandfather of Ayden, Marina, and Lillian Wild. Relatives and friends are kindly invited to gather in the James H. Delaney & Son Funeral Home, 48 Common Street, Walpole on Friday, April 26, 2019 from 3 to 4 PM. A Funeral Home Service will follow at 4:00 PM. Interment will be private at the request of Philip’s family. There's still time to send flowers to the Gathering of Family and Friends at the James H. Delaney & Son Funeral Home from 3:00 PM to 4:00 PM on April 26, 2019.